Gunnar Persson was tall, big, a little overweight, and a very, very nice man. 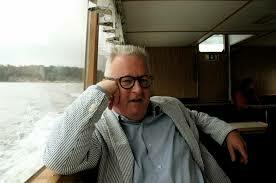 He loved reading, classical music, cycling, football, eating and drinking good wine, and was a very good cook. He loved his small apartment in Buriano, a village in the hills near Grosseto in southern Tuscany, with a small garden where we have sat many times after good lunches talking and gossiping about economic history and economic historians. In short, he enjoyed life. But Gunnar also enjoyed economic history. He was an active and very successful cultural entrepreneur and a great scholar, with a far-sighted intellectual agenda which he pursued throughout his scientific career. His first major work was his book on Pre-industrial Economic Growth (Persson 1989). As the title makes it clear, he did not accept the view of a stagnant and thus an intellectually unexciting pre-industrial world. To be sure, he knew that technical progress before the industrial revolution was slow and erratic, and that income grew very slowly if not at all. Yet, growth could be brought by trade and market integration. Some years later, in his textbook on economic history of Europe (Persson 2013) he described the struggle between the forces of integration and the forces of disruption (mostly political events such as wars) as the key feature of pre-industrial Europe. Early modern economic history was not so popular in those times among cliometricians (or ‘new economic historians’ as they were still called) but it has attracted a lot of attention since then. Greg Clark’s Malthusian monography (2007), which Persson criticized in a debate in European Review of Economic History (Persson 2008) was a commercial hit. Within the last year, the discussion has seen renewed efforts at estimating GDP per capita before 1800 (Fouquet and Broadberry 2015). Although all these estimates cannot be as accurate as modern ones, they do show fluctuations within and across countries which confirm that pre-industrial Europe was not frozen in an immutable Malthusian world. The interest in pre-modern economic growth related to the second major issue in Gunnar’s research agenda, market integration. His supervisor at Lund University, Lennart Jörberg, had written a pioneering book on the integration of the Swedish domestic market in the 18th and 19th centuries (Jörberg 1972) which, however, had made less impact than it deserved. In the early 1990s, the issue was put on the spotlight again by the joint efforts by Williamson, who focused on transatlantic integration, and Gunnar, who pioneered the research on domestic integration. 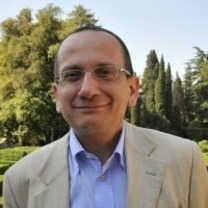 He organized a seminar in Lerici (a wonderful place, as always with him) in 1994, a session at the ill-fated Seville/Madrid world conference, and published widely on the issue. He was the first, in a paper on France (Ejrnæs. and Persson 2000), to apply Threshold Autoregression, which for a while seemed THE method to measure integration (Federico 2012). He published several articles on transatlantic integration, exploring other methods of measurement (Ejrnæs, Persson, Rich 2008, Ejrnæs and Persson 2010) but also cautioning against too hasty inferences from data (Persson 2004). 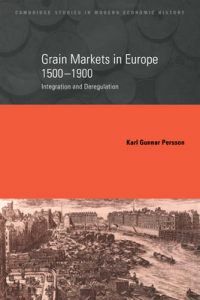 Above all he blended his two major research interest, on pre-modern Europe and market integration in a major book, Grain Markets in Europe 1500-1900 (Persson 1999). There he argued convincingly, with a nice combination of measurement, economic analysis and sifting of contemporary sources, that the ‘modern’ market integration substituted the ‘traditional’ market intervention and regulation as a way to dampen welfare-reducing price fluctuations. Thus, pursuing a coherent scientific agenda, he anticipated and shaped scholarly debate on two issues, early modern European economic history and market integration, which are now among the hottest topic in analytical economic history but were by then rather neglected by cliometricians But he did two other major services to the profession. First, he spotted a big gap in the literature, the lack of a good textbook on the economic history of Europe. He took a bold approach: he wrote a concise book suitable to teach economists who needed the big picture in their jargon without too many details (Persson 2013) . The book was a hit and it is now in its second edition, which has softened somewhat its original uncompromising stance. 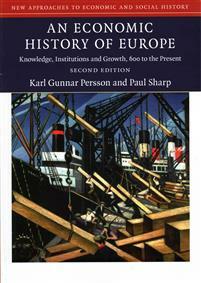 The second contribution was its role in the birth and early years of the European Historical Economics Society. Gunnar himself has written a detailed account of the process (EHES) which however downplays his role. Without his drive, and his successful fund-raising, the first congress of the EHES would not have been held, and it is likely that the initiative would have withered. Likewise, a few years later he was instrumental in kick-starting the European Review of Economic History. He served with Vera Zamagni and Tim Hatton as its first editors and, in spite of the scarce number of early submissions, they succeeded in setting a high quality standard, which has propelled the Review to the current rank as one of the top world journals in the field. This success seemed unthinkable at the beginning. Many prominent scholars were doubtful about the chances of cliometrics in continental Europe, where ‘traditional’ economic history still prevailed in terms of numbers of practitioners and university legislation worked against new intellectual movements. Yet, they were proved wrong. Analytical economic history is thriving in Europe, within the limit of budget constraints which are hitting universities in many countries, and Gunnar was instrumental in achieving all this. Gunnar retired from teaching in 2013 and the event was marked by a small but very interesting conference in Copenhagen, which ended with a presentation by him about the transformation of the Department of Economics in Copenhagen from a ‘traditional’ teaching department focused on Danish economics in an international theory-oriented one (alas, with little room for economic history). But he did not retire from the profession. The last time we met, he told me that he had just completed and submitted two papers; one on the demography of Buriano with Mette Ejrnæs, and another on measuring pre-industrial economic growth from changes in occupational structure with Christian Groth. It is a pity that he did not have the opportunity to see them published. But it much more of a pity that he is no longer with us, with his booming laughter, his wise advice and his sharp mind. Ejrnæs, Mette and Karl Gunnar Persson (2000), “Market integration and transport costs in France 1825-1903: a threshold error correction approach to the Law of One Price.” Explorations in economic history, 37, pp. 149-173.